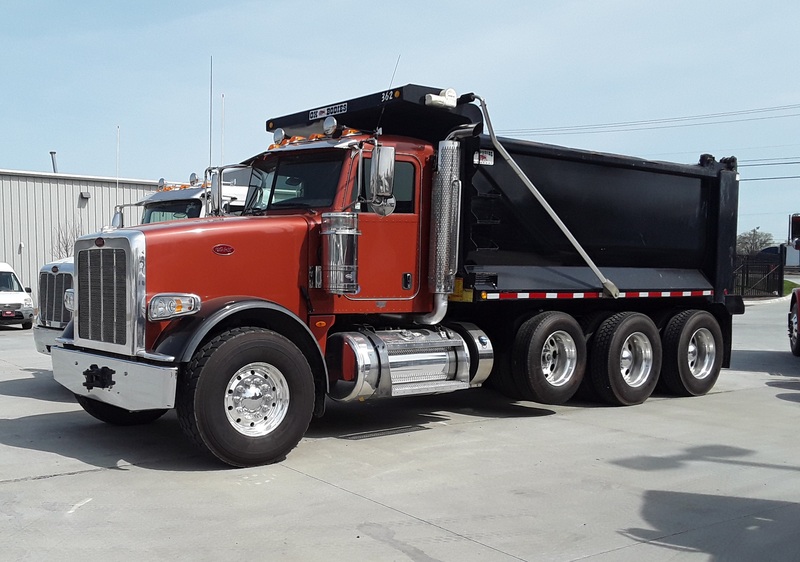 2019 Peterbilt 567-115-SFFA with 455HP/1650 Paccar MX13 engine with compression brake and Allison 4500RDS 6-speed automatic transmission. 20000 front. 46000 rear. Two 13500 steerable pushers. 80000 GVWR. Hendrickson Haulmaax with shocks. Full wheel lock. J&J 18' aluminum dump body. 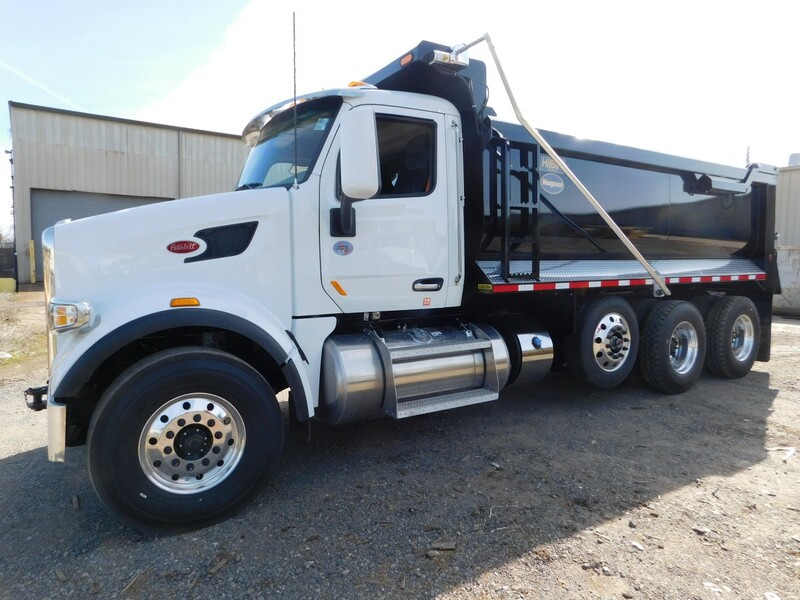 DOZENS of dump trucks in stock or on order, from single axles through quints!